Historian Anna Cienciala explains the significance of the Katyn massacre and Vladimir Putin's near apology. Seventy years after the Katyn massacre, Russia and Poland have made a substantial effort to redress their enmity over a war crime committed during the opening stages of the Second World War. But there's still much left to discuss, historians say. Prime Minister Vladimir Putin and his Polish counterpart, Donald Tusk, met in Russia on Wednesday to jointly commemorate the more than 20,000 Polish officers, police and others who were murdered by the Soviet secret police and buried in mass graves in the Katyn forest near Smolensk in 1940. Until 1990, when then leader Mikhail Gorbachev first admitted the former Politiburo's complicity, the Russians always blamed the Nazis for the murders. And this year was the first time a Russian leader publicly marked the anniversary. However, in his speech at Katyn, Putin stopped short of a full and unqualified apology. Instead, he explained the massacre as an act of "revenge" by the Soviets for the death of Red Army soldiers in Polish internment camps in 1920. Anna Cienciala, professor emeritus at the University of Kansas, has spent her career chronicling the history of Poland during the Second World War and immediately after. As a 10-year-old, she fled war-torn Poland with her family. She recently co-edited a collection of documents from the Russian archives about Katyn, considered the definitive account of the massacre: "Katyn: A Crime Without Punishment." Cienciala spoke with CBC News producer Jennifer Clibbon about the significance of Putin's attendance at the anniversary ceremony and about why the discussion between Poland and Russia about Katyn is far from over. Clibbon: Why was it significant that Russian Prime Minster Vladimir Putin attended this 70th anniversary ceremony of the Katyn massacre? Cienciala: It's very significant. No Russian prime minister attended the opening ceremonies at Polish war cemeteries in Katyn and Mednoye in 2000. I suspect he wants to get something from the Polish government in return, but all I know is that after the ceremony — at which Putin spoke with great sympathy for the Poles, mentioning Russian victims of Stalin as well — he met in Smolensk with Tusk and members of the special committee for difficult questions in Polish-Russian relations. What exactly was the Katyn massacre of 1940? It wasn't a single execution. Katyn is the name of the forest where the Polish officers from Kozelsk Camp were executed. 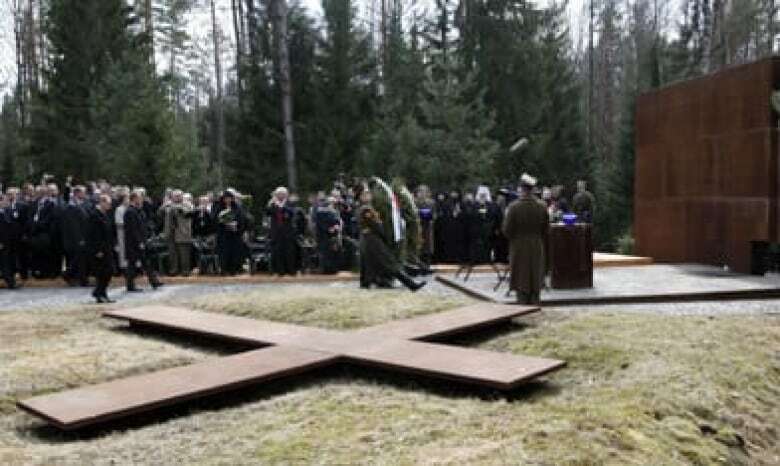 When the execution sites of the POWs from Staroblesk and Ostashkov became known, and when it was known that 7,300 prisoners in NKVD [Stalin's security police] jails in west Belarus and western Ukraine were also shot, the Poles decided to give the name of Katyn to all the massacres. How many Poles were executed and who comprised this group? Of the 8,442 officers held in the three special NKVD camps in Feb. 1940, 2,336 were regulars, 5,456 were reservists and 650 were retired. Many of the reservists had higher education. [There were also] 7,300 prisoners from jails that were shot in Ukraine and Belarus. But many POWs and jail prisoners are still unaccounted for. The one woman we know of was Janina Lewandowska, a private pilot with the rank of cadet or lieutenant, depending on the source; she was evacuated east before Soviet invasion of eastern Poland and captured there. She is known to have been first in Ostaskov, then Kozelsk camp (survivor memory). 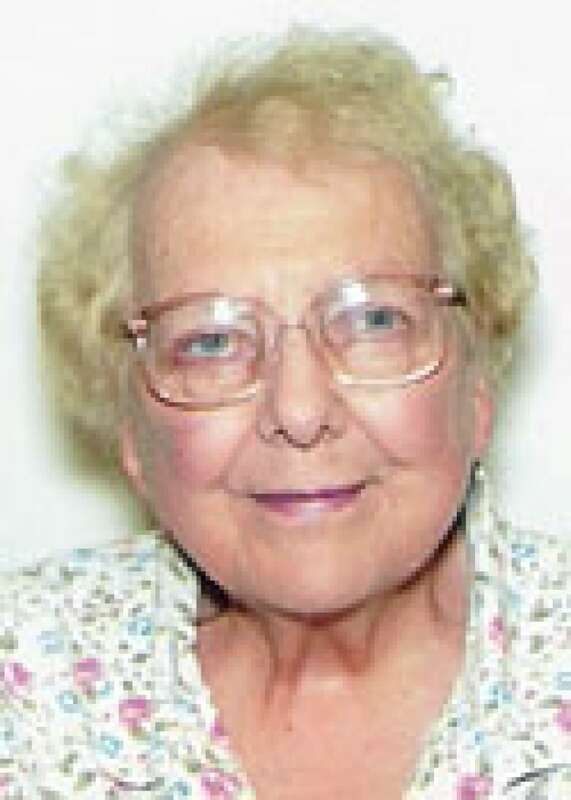 She is listed as shot at Katyn. Did Winston Churchill and Franklin Roosevelt know about the massacre during the war? Of course they knew, and they had info the Soviets had done it. The Germans publicized the Katyn massacre in mid-April 1941. FDR and Churchill needed the Red Army to defeat the Germans in Europe, while FDR counted on Soviet help in defeating Japan afterwards. The question is rather why the British and U.S. governments rejected requests for an international tribunal to investigate the Katyn massacre (the original one) and condemn the guilty ones, i.e. Stalin and company after the war. I think they didn't want to spoil good relations with the USSR before the Cold War began in 1949, or exacerbate them later. There was always something the British and U.S. governments wanted from Moscow that was more important than justice for the Poles. The famous Polish director, Andrzej Wajda, whose own father was killed in the Katyn massacre, produced a powerful film about it a few years ago. What did that film contribute to popular knowledge about the massacre? Wajda (whose father was in Starobelsk camp, shot in Kharkiv) says he made the film to tell the story to young Poles, who don't know the history and should know it. The film was very popular in Poland. It had restricted showings in Russia, but was to be shown today on Russian TV at the same time as Putin and Tusk were meeting at Katyn. You fled Poland during the war. Your father was as a high level official who escaped after the German and Soviet invasions. Might he have potentially been swept up in the arrests leading to the Katyn massacre? My father, Andrew M. Cienciala (1901-1973) was the director of the Polish Maritime Agency, a ship chartering agency in Gdynia. 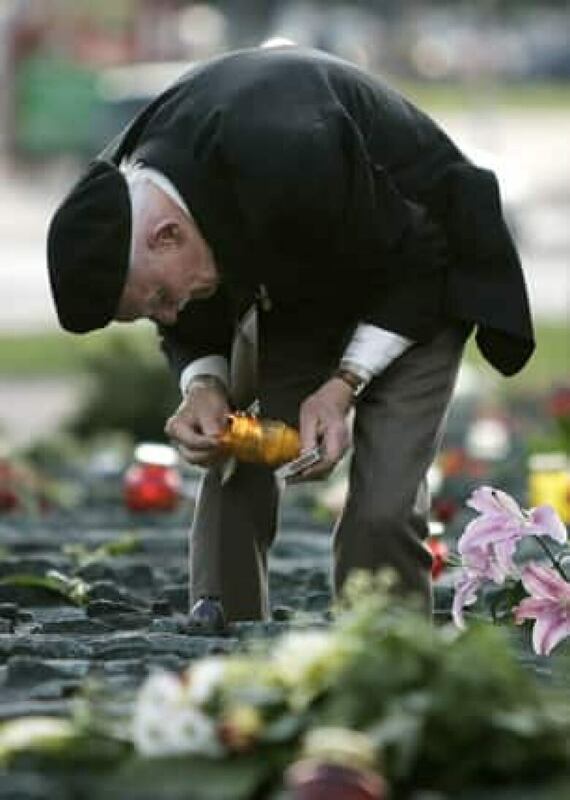 He was recruited into the Polish government when it was in South East Poland in mid-September 1939 and was evacuated with it to Romania when it was heard the Red Army was entering eastern Poland. He would certainly have been arrested and shot or deported by the Soviets as "a socially dangerous element." What do you recall of the invasion? You were 10 years old. I recall a Polish army unit coming stationing overnight in the park attached to the house on the small Polish estate we were staying in central Poland. My father had sent my mother, sister, myself, also my grandmother and aunt to this place for summer holidays, mainly because he expected the Germans to occupy Gdynia in the first days of the war, as happened. We were briefly machined gunned in the park by a German fighter plane, which had spotted the Polish troops. I also remember artillery gunfire, heard for several days, from what I learned later was the biggest battle of the campaign, the battle of the Bzura River. I was considering whether to shoot a German NCO coming up the drive — I had a discarded Polish army rifle — but my uncle caught me and took away the gun. Just as well, or I might not be here to write all this for you. He came to find out whether we had any arms in the house. I told him "Lots and lots," thinking of the old blunderbusses on the walls. He came back next day with a few soldiers and they took everything away, include large kitchen knives.